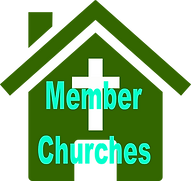 Our affiliations are really partnerships that we choose to cooperate and do our ministry. These include — one state convention, two mission boards, six seminaries, an ethics and religious liberty commission, a publishing and retail ministry, and a financial resources services ministry -- a woman's missions auxiliary, and an Executive Committee. While some of these ministries are self-sustaining, the majority are supported by the churches with financial contributions through the Cooperative Program. Of contributions received by the SBC, almost 73.2 percent funds missions and almost 22 percent provides ministerial training through our seminaries. Each of these ministry entities exists for the express purpose of assisting churches in the ultimate goal of advancing the Gospel. Missions, evangelism, and church planting are facilitated through the Minnesota-Wisconsin Baptist Convention, International Mission Board and the North American Mission Board. Ministerial preparation and continuing education are provided through Golden Gate, Midwestern, New Orleans, Southeastern, , and Southwestern Baptist Theological Seminaries. Christian ethics and religious liberty ministries are assigned to the Ethics & Religious Liberty Commission. Church enrichment ministry and literature publication are assignments of LifeWay Christian Resources, which receives no Cooperative Program funding. GuideStone Financial Resources which also receives no Cooperative Program funding, manages ministerial retirement insurance needs and administers Mission :Dignity, an assistance ministry for retired ministers and their families. The SBC Executive Committee is charged to conduct the work of the Convention between annual meetings in all areas not otherwise assigned to one of the ministry entities. The Woman's Missionary Union is the sole auxiliary of the SBC. It cooperates very closely with the International Mission Board and the North American Mission Board to encourage churches to give generously to support missions through contributions to the Cooperative Program and two annual missions offerings.